Facebook Inc.'s scandals are finally hitting the company where it hurts: growth. 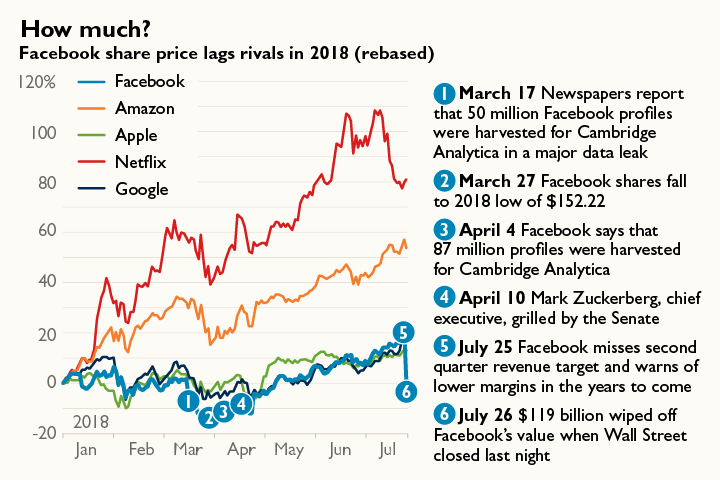 David Wehner, Facebook's chief financial officer, said on Wednesday the company's decision to give its users "more choices around data privacy" following the Cambridge Analytica scandal "may have an impact on our revenue growth". It reported second-quarter results on Wednesday afternoon. "Unlike Netflix, whose quarterly shortfall we saw as temporary, here we see an evolution of the story, albeit a portion of which we expected", said Daniel Salmon, analyst at BMO Capital Markets. "We're starting to see that this quarter", he said. Facebook has been an omnipresent part of American news for what seems like all of 2018, and rarely with a positive connotation. 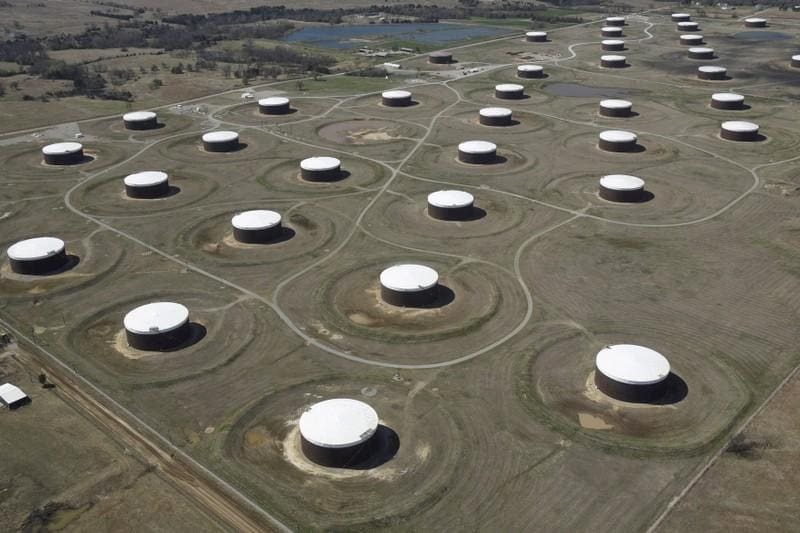 The last time it missed revenue estimates was the first quarter of 2015. Almost all of the services have received greater scrutiny since US intelligence agencies in January 2017 revealed that organizations tied to the Russian government had seeded content on the platform to shake up the 2016 USA presidential election. "It wouldn't be surprising if a couple million very irritated Brits left Facebook", says Brian Wieser, analyst with Pivotal Research. The Menlo Park, California-based company earned $5.1 billion, or $1.74 per share. Sales from United States, Canada and Europe fell $75 million in the second quarter compared with a year ago, while revenue from other markets rose $51 million. User growth - both on a monthly and daily basis - was flat in the USA and the rest of North America, while it declined slightly in Europe. "And it reflects that many people use more than one of our services", he said. The company remains in a dominant position in mobile advertising alongside Alphabet Inc's Google. The precipitous decline was triggered by Facebook's announcement that revenue gains would lag behind spending growth, meaning lower profits. "Deceleration such as management guided toward suggests that while the company is still growing at a fast clip, the days of 30 per cent-plus growth are numbered". The introduction of a new European privacy law has knocked user growth and engagement. The loss of users - the whole reason for the network effect, the reason Facebook can charge advertisers so much money - is what Facebook needs to overcome. But the real question, he said, is whether the company can "continue to do what they are doing in the face of criticism from Wall Street". Its relationship with Cambridge Analytica, the political data analytics firm that ran data operations for Donald Trump's 2016 presidential election campaign, uncovered violations of data collection and retention policies. The PPP , which has been overtaken by Khan's PTI as the main challenger to PML-N, has also alleged intimidation by spy agencies. In an effort to increase voter participation, the Election Commission has declared a public holiday on Wednesday. 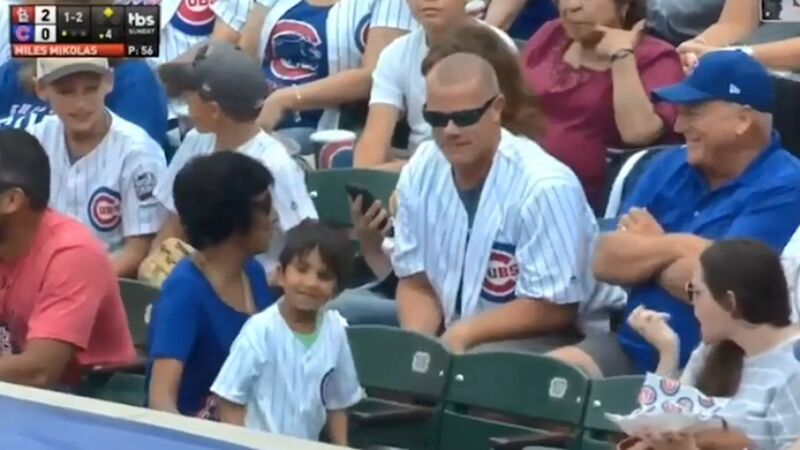 Jose Quintana pitched seven effective innings, keeping Matt Carpenter in the ballpark and helping the Chicago Cubs beat the St. One person defending the move responding to the tweet, "I like this guy, and he's got a pair of incredible shades on". The pop star made the revelation about the setback in a single, " Sober ", released late last month. They had no means to immediately put these things to rest. The persisting trade tensions have provided Democrats a line of attack against Republican Rep. They are meant to protect domestic businesses and put foreign competitors at a disadvantage. 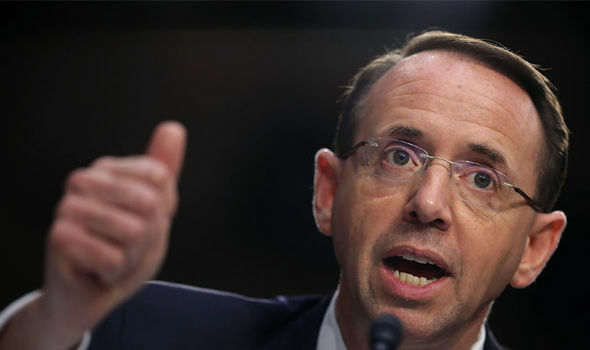 Deputy Attorney General Rod Rosenstein (C) holds a news conference at the Department of Justice July 13, 2018 in Washington, DC. While Meadows then moved on the impeachment resolution, others had a more positive view of the meeting. On the face of it, the European Commission's massive fine hasn't really hurt Alphabet - at least not in the eyes of investors. Instead, comments made by Pichai suggest that Google may place greater focus on Maps for additional revenue opportunities. 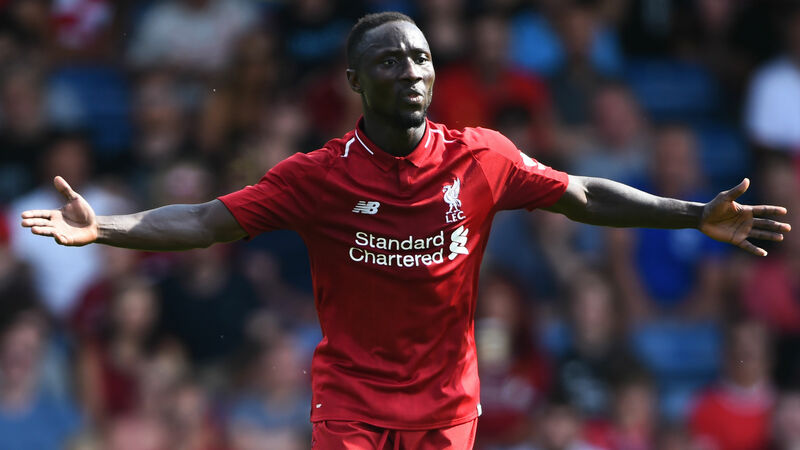 Becker was unveiled as Liverpool's new No 1 last week and, in the process, became the most expensive goalkeeper in history. Klopp said. "I like Christian, I've known him since he was a kid and he's still not really old". Turkish President Recep Tayyip Erdogan says he spoke with Mesut Ozil after the midfielder's retirement from playing for Germany . 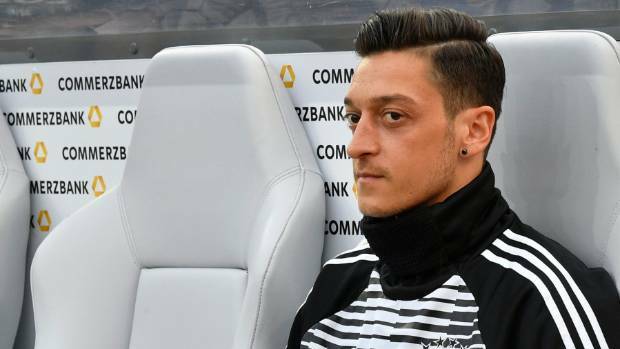 The German Football Association said it " emphatically rejected " Ozil's accusations of racism. Trump said in Helsinki that the two men discussed a variety of topics in their two-hour one-on-one meeting. He admitted after the interview he was not aware Trump would invite Putin to the White House . 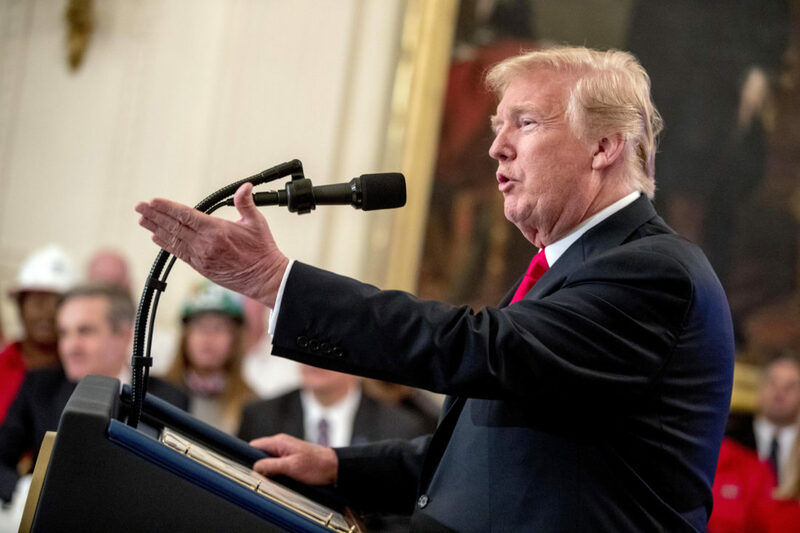 President Donald Trump made it clear that, if necessary, he is ready to slap tariffs on all imports from China. Mr Mnuchin has faced criticism from worldwide counterparts about the USA talking about currencies before. Agriculture officials say the plan will not require congressional approval. Soybeans are likely to be the largest sector affected by the programs. Liverpool manager, Jurgen Klopp , has assured Loris Karius that he still has a role to play at the club. Klopp warned against complacency, adding: "We need to be ready for the big challenges, the big goals ". Manchester United have wobbled during the pre-season so far and some fans are questioning Jose Mourinho . Manchester United are considering making a move for Ante Rebic this summer. He also disputed the veracity of the tape by saying Trump did not say Cohen should "pay with cash", as Davis claimed. Giuliani, Trump's current lawyer, says he's had an expert enhance the muffled recording. He reportedly filmed customers including children, college students, and a few public figures . Ride-hailing companies Uber and Lyft have suspended a driver who recorded hundreds of St. They will now meet Fiji, who cruised past Argentina 43-7, in one semifinal on Monday (8.02am NZT). France progressed to the final after earlier upsetting Australia 19-12 in the semifinals. She's calling on the Trump administration to develop a plan to provide farmers with immediately support from tariffs. The Senate has several key races in agriculture-dependent states like Missouri, North Dakota, and in this November. We believe in the path of happiness and progress, resistance and steadfastness in the face of enemies and those who seek our ill". Israeli Prime Minister Benjamin Netanyahu praised Mr Trump for his "strong stance" on Iran. Shrugging off the weaker yuan, China's stock markets rose as investors cheered the prospect of policy easing and picked up bargains. One diplomat said China quickly supported the "hold", which automatically delays action on the USA request for six months. The North has conducted at least 89 such transfers in the first five months of this year alone, according to Pompeo. Whatever was said, Ujiri realizes he probably could have communicated with the team's former star in a more direct fashion. DeMar DeRozan took another step towards acceptance, following the earth-shattering trade that sent him to San Antonio . The gunman drove away with Hernandez still in the back vehicle , but he was able to jump out and run away, according to sources. The New York Police Department says the rapper went to a police precinct early Sunday to report what happened to him. But the Fake News is saying, without ever asking me (always anonymous sources), that I am angry because it is not going fast enough. Guardiola said: "What happened last season was a effect of the work we did two seasons ago". He's a great professional, he is training like an 18 year-old. However, the USA has repeatedly indicated it will only reward Pyongyang with a peace treaty after North Korea denuclearizes. The programme helped bring in vital hard currency to North Korea, which has been under US -led sanctions for decades. Friday's eclipse is the first to be visible from Ireland since September 2015 and will be the longest of this century. While most are familiar with the scientific explanation, the phenomenon would have struck terror into our ancestors. Current Trump attorney Rudy Giuliani said the payment was never made and the brief recording shows Trump did nothing wrong. A self-described fixer for Trump for more than a decade, Cohen said previous year he would "take a bullet" for Trump. In reference to the Strait of Hormuz, the Iranian President said: "We have always guaranteed the security of this strait". 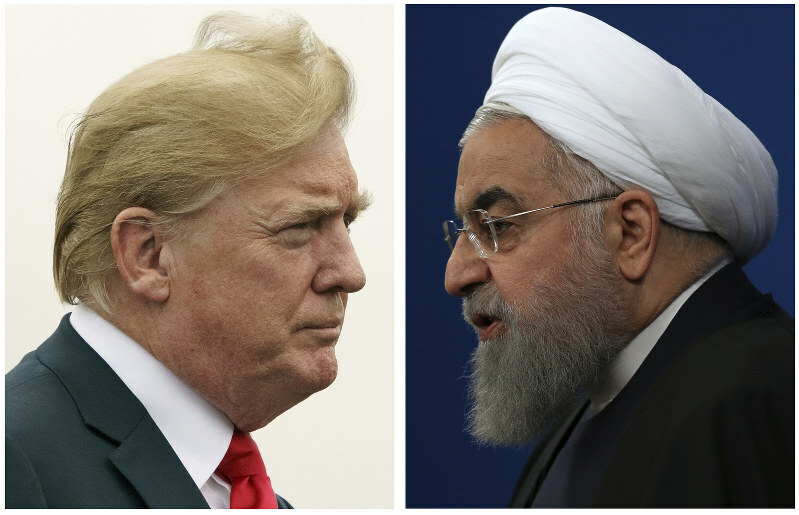 Rouhani also suggested Iran could immediately ramp up its production of uranium in response to US pressure. It comes as the U.S. media reported that Donald Trump is somehow unhappy with the denuclearization progress of the Korean Peninsula. The Organisation for the Prohibition of Chemical Weapons (OPCW) will analyse the substance before reporting back its conclusions. Det Sgt Bailey is discharged from hospital, but says in a statement: "Normal life for me will probably never be the same". She was set to play a show in Atlantic City, New Jersey, on Thursday, after just performing in Paso Robles, California, on Sunday. Lovato, who began her acting career on the popular children's series " Barney & Friends", rose to fame on the Disney Channel. The 25-year-old is reportedly worth £65million, having joined Leicester in 2017 from Hull City for a bargain £17million. Maguire could replace Phil Jones or Smalling in Mourinho's line-up, as he has done with England. I don't-They did not spy on the campaign from anything and everything that I have seen, ' Rubio said. Page himself ducked questions about what, exactly, his connections to Russian Federation had been. Toronto Paramedic Services said they were transporting eight people to hospital with a range of injuries, including one child. Streets in the area have been closed while police and other emergency services respond to the incident.